How would you respond to being face-to-face with a bear? Would you be scared or thrilled? A bear, made of wood, a unique sculpture designed by Brienz wood carvers who have developed their own naturalistc look on these fascinating animals. artfour is very proud to present this extraordinary quality art within its supplies. We start a blog series with different types of wooden bears. Our first story gives an overview and the separate categories will follow. Have fun! The Bear - there is hardly any other animal with such an ambiguous relationship to mankind. On the one hand bears are awesome and relentless pursuit and on the other hand they are the cutest models for a child´s stuffed animal collection. It is said that the carving of a bear is relatively easy and done quickly. 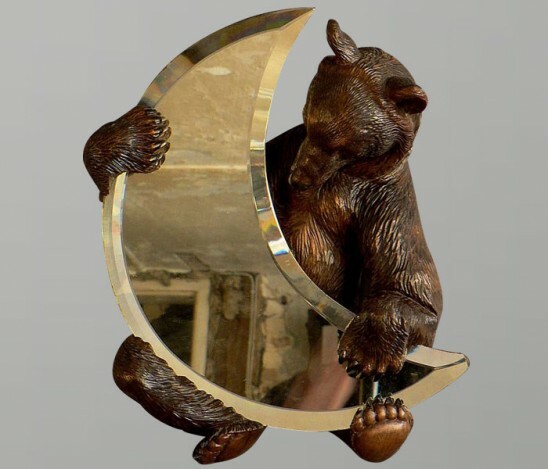 To that effect Brienz´artists have brought their bear wooden sculptures to perfection. The enthusiasm for bear sculptures from Brienz combines the mystical, powerful exposures as well as the whimsical creations. Take some time and let the following pictures have an impact on yourself.